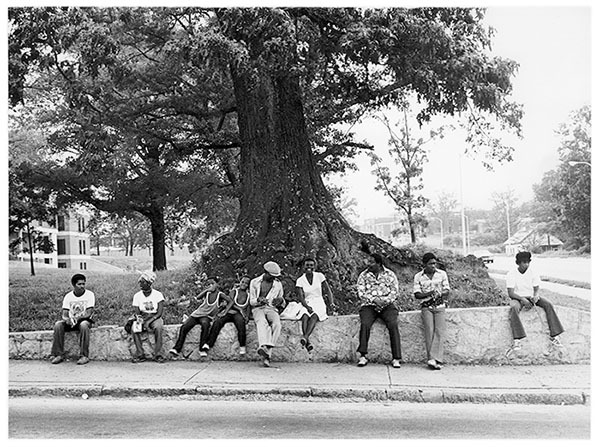 On my first trip abroad I traveled throughout the deep south with a camera on my shoulder. I felt it was only natural to meet and get to know African-Americans, since from the time of my youth I was thoroughly enamored of black American writers such as Richard Wright, James Baldwin and Nikki Giovanni. As a young woman, a baby-boomer, raised in post-war Japanese society, I struggled—not just against social pressure and prejudice toward women, but also within myself to resist giving into these same pressures. I felt great sympathy with African-Americans, since I had seen something of myself in their writings and experience. Finding no good reason not to travel to the U.S. and photograph African-Americans, I further resolved that the camera itself would lessen the distance between outward strangers. I met a lot of wonderful African-American people in the south—bright, tender and brilliant people. Aided by the camera, I myself was somehow freed and released by this journey.